Citizen Tea has provided me with Milk Oolong for the purposes of providing an honest review. I received this product at no charge to me and received no other compensation. 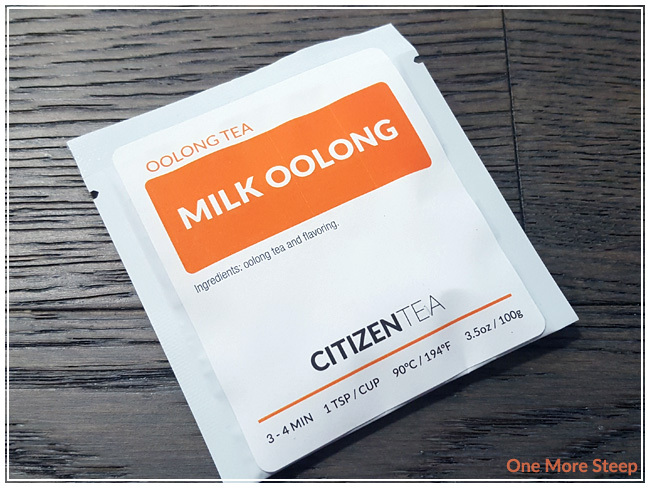 I love a good oolong, so I was really excited that one of the teas that Citizen Tea sent me was their Milk Oolong. 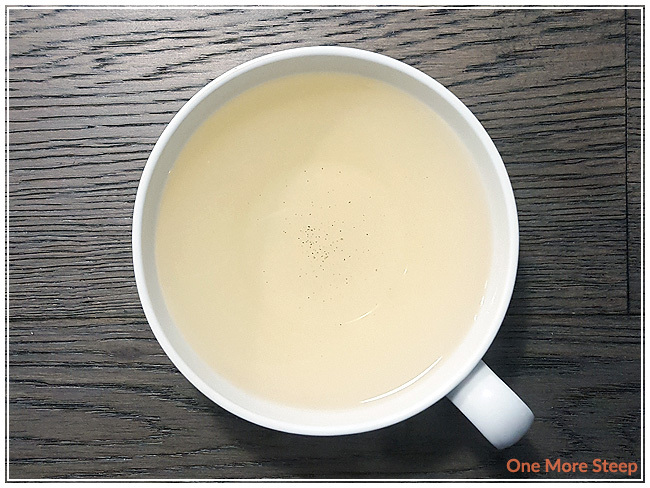 I’ve had a few milk oolongs in the past and I really love the creamy and buttery flavour that a lot of them have. When I opened up this sample packet, I smelled a floral fragrance first followed by a scent that reminds me a lot of condensed milk. If you’ve never had condensed milk, it’s a sweetened and thickened milk that comes out of a can. It’s delicious, and it’s a bit of a treat to have (and so good – bad for me because I have an epic sweet tooth!). Sweet, floral, and milk scents. It’s an interesting combination because the floral aromatics are stronger than the milk fragrances, which I feel should be the opposite given that it is a milk oolong. The ingredients in Milk Oolong are described as oolong tea and flavouring. Natural flavouring? Artificial flavouring? I do wish there was a bit more information about the flavouring that went into this tea. Naturally, I assume that it is some kind of milk/dairy flavouring. If I was lactose intolerant I would have steered clear of this one though, without more information. Thankfully, I am not so I went ahead with steeping this flavoured oolong. Citizen Tea recommends steeping Milk Oolong for 3 to 4 minutes in 90°C (194°F) water. I did my initial steep of Milk Oolong at 3 minutes. Milk Oolong steeps to a pale yellow. I found that the dry tea aromatic mixture of floral and condensed milk followed through to the steeped tea. Surprisingly, it doesn’t taste as floral as it smells (a bonus since I wasn’t really expecting flowery notes in a milk oolong). The condensed milk flavours do carry over fairly well, and it has an aftertaste that reminds me of artificial sweeteners (like stevia). I’m not a huge fan of artificial sweeteners, as I prefer to add my own to teas, but it’s not incredibly off-putting. There is a bit of a buttery cream quality to this tea, although the taste of condensed milk does ring more true than a cream/buttery flavour. I resteeped Milk Oolong quite a few times (seven resteeps in total). 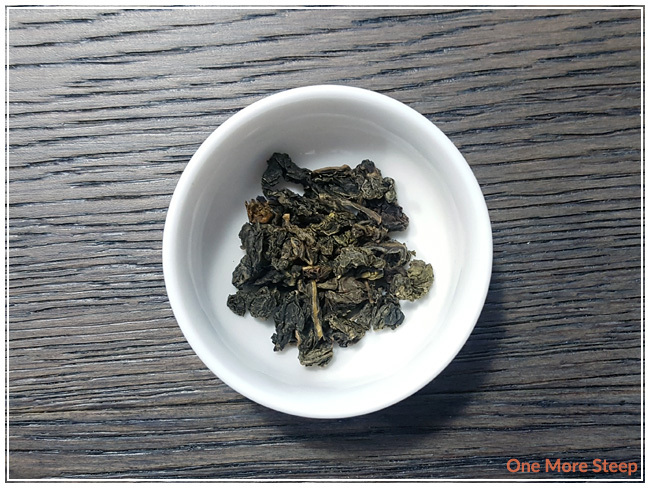 I found that the flavour of this oolong drastically improved by the second resteep (third overall steep). The artificial sweetener aftertaste was gone, and the flavours were more in line with what I expect in a milk oolong (buttery, cream, mild sweetness). The floral fragrance became a distant memory, and I found that the straight milk flavours gave way to the buttery goodness. I liked Citizen Tea’s Milk Oolong. 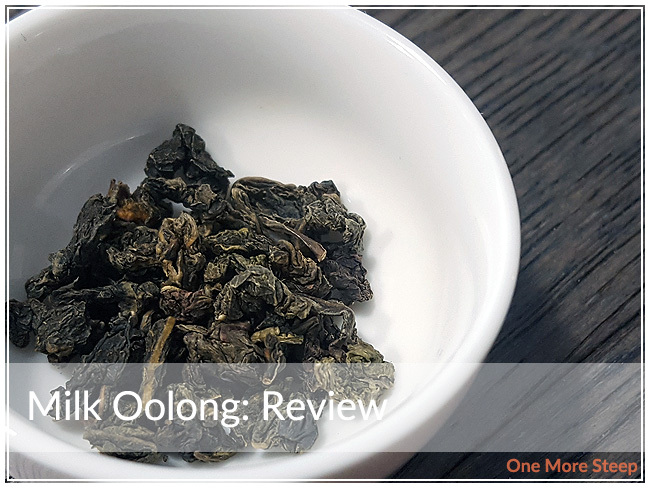 I was not a huge fan of the first two steeps that I did of this tea – there was too much artificial sweetener taste, and the floral aromatics of the dry leaf weren’t appealing to me. 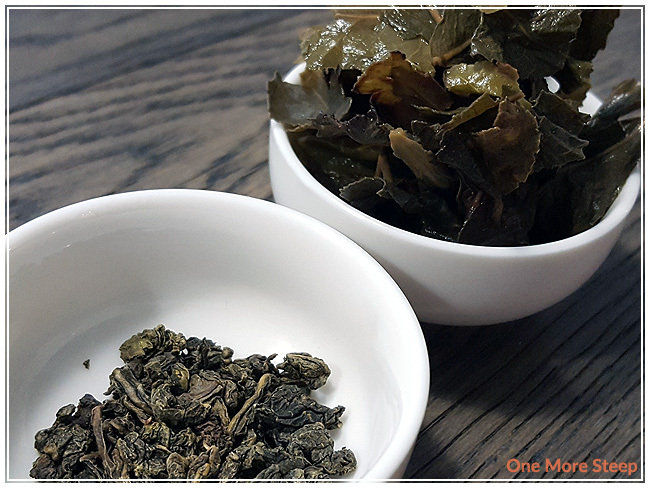 However, once I steeped the leaves a couple of times, the flavours began to change to what I was looking for in a milk oolong – butter and cream. If you’re not into the artificial sweeteners, I would recommend steeping (and pouring out) the first two steeps of this oolong and then drinking the rest. Luckily, this tea resteeps very well (I did 8 steeps total with the same leaves), so there is still a lot of flavour left even if you discard the first two steeps.